Spring might officially still be a while off, but the first stirrings of new hope ahead are already in the gardener’s heart. There’s the new, rotated veg patch plan to draw up, and seeds to be sorted and ordered. And of course potatoes to be chitted. 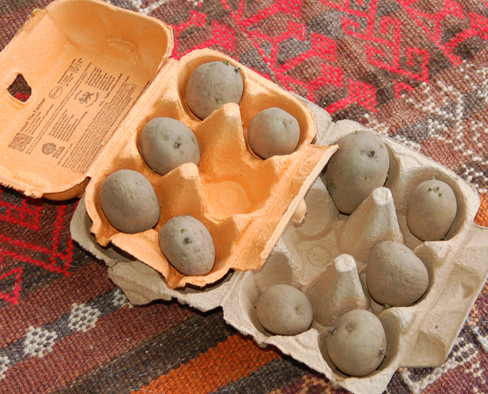 We had moderate success with Arran Pilot spuds last year, so are giving Pentland Javelin a go this year, to see if they are better suited to our soil. On the veg patch there’s the last of the sprouts and leaks to eat, and we’re still hopeful the Purple Sprouting Broccoli will be productive. 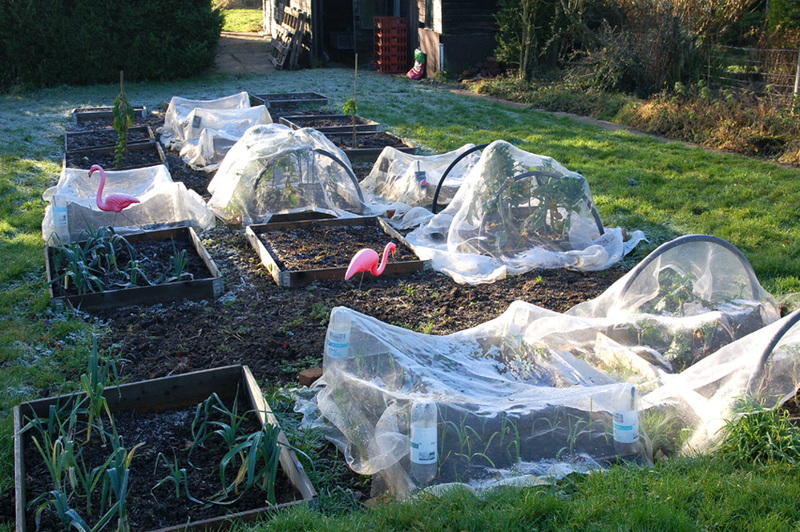 While undercover, over winter plantings of garlic (Marco and Carcassonne Wight) and Broad Beans have come up. And in the meantime, there’s plenty of Winter work to get through too of course. We barely made a dent last year on an unrealistically huge list of clearance and rebuilding jobs, which will probably take us ten year to get through. So this year we are trying to get a couple more off the list, get some new planting in, and of course do the annual fruit tree pruning. 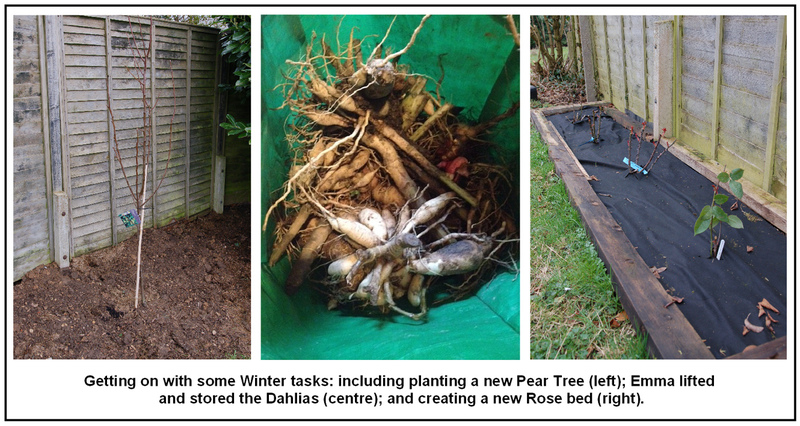 This entry was posted in Garden and tagged broad beans, fruit tree pruning, fruit trees, garlic, Paul Rainger, planting, potato, pruning, PSB, purple sprouting broccoli, Smallholding, Spring, The Secret Acre, veg beds, veg growing, veg patch, vegetables, Winter by paulrainger. Bookmark the permalink.